The emerald cut is most commonly rectangular and blunt-cornered, with a flat table and long step cuts for large mirror-like facets that resemble a wide staircase, drawing the eye into the stoneâs center. This emphasizes the rich color of stones, making it popular with large colored gemstones and high-quality diamonds. Emerald cut wedding rings bring a majesty and refinement. The elongated shape of emerald cut wedding rings makes the fingers appear longer, slimmer, and more delicate. 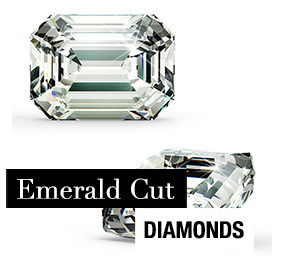 Emerald cut diamonds follow and refine the natural shape of the raw stone, making them less expensive per carat, but selecting the highest clarity and color grades is important, since the wide open table will also expose and emphasize flaws. 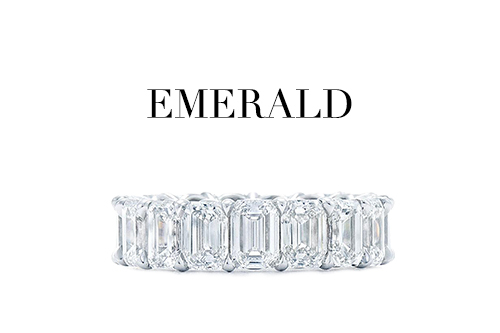 Emerald cut wedding rings may feature deeply colored gemstones, as the cut heightens the vibrant hues. Emerald cut wedding rings make fabulous solitaries and impressive displays when paired with matching side-stones. The old-fashioned grace of the emerald cut also resounds in vintage styled halos and can astound in a modern pave, making it a showstopper in an style. Round cut gemstones are considered a brilliant cut, design, which means light reflection is maximized through numerous, tiny facets. The actual shape of a round cut gemstone is similar to that of a cone; narrow at the base and round at the top. 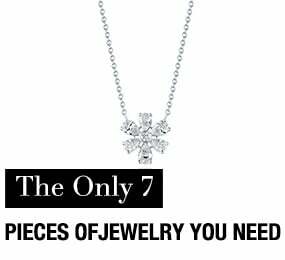 The placement of each facet is the key to achieving a fiery brilliance. Modern laser cutting techniques have improved the symmetry of contemporary round cut gemstones, making this cut the most light-catching and spectacular. 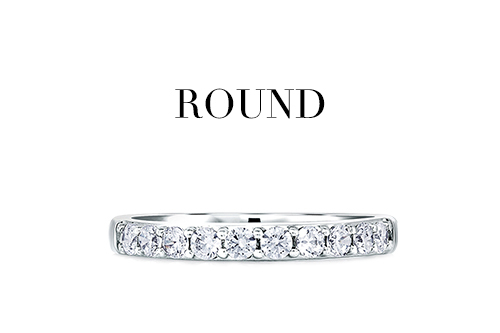 In terms of diamond wedding rings, the round cut is the most popular, representing 75% of all diamonds sold. The elegant and classic look of a round cut diamond is the perfect choice for capturing your lasting love. Round cut diamonds are the most expensive on a per carat basis for two reasons; the demand for round diamonds is very high, and the yield is relatively low. In other words, more of the stone is lost in the process of cutting of a round diamond, therefore the cost of each retained carat is higher. The round cut gemstone can be paired with almost any setting. The two most popular settings are the solitaire and the pave. 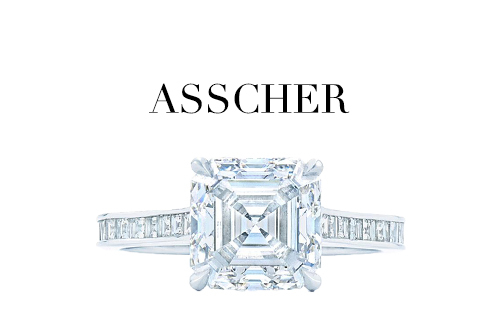 Asscher cut wedding rings use a beautiful historic cut. Unlike modern brilliant cuts, which emphasize a gemstone's fire and sparkle, the Asscher cut emphasizes the stoneâs clarity, color, and the beguiling geometry of the cut itself. Asscher cut wedding rings harken to the early 20th century glamour, Art Deco, and vintage style, but the cut is becoming increasingly popular in modern and unique wedding rings and can give a traditional-seeming classic engagement set, wedding ring, or anniversary band a keen artistic edge. The Asscher is a square cut with blunted corners & these provide extra facets and give the stone extra stability and chip resistance. It features a high crown, small table, and a deep pavilion, meaning the top is a small flat surface that arches high above the girdle, the widest central outline of the stone, with a long tapered bottom half. This ratio is used to create depth in the stone, letting in light and increasing reflectivity, giving Asscher more brilliance than a standard emerald cut. The broad step facets of the Asscher create the design of the shape within a shape receding into itself like glimmering ice. 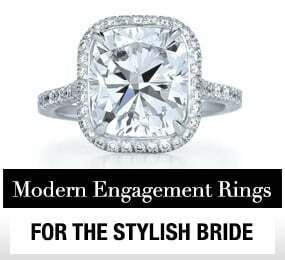 Cushion cut wedding rings display one of the oldest and most enduringly popular gemstone shapes. 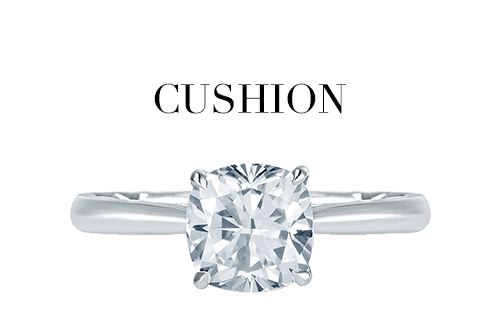 The cushion cut is vaguely rectangular or squarish with rounded corners and gently sloping edges, owing its name to this pillow-like shape. Cushion cut wedding rings have brilliant facets which, while less brilliant than round brilliant cut stones, release more fire by fracturing the light into rainbows. 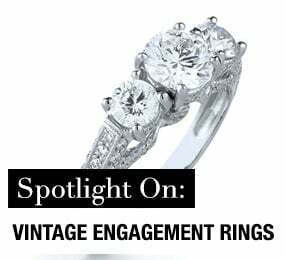 The beautifully traditional cut may find its lasting popularity due in part to the variety and flexibility of cushion cut wedding ring designs. 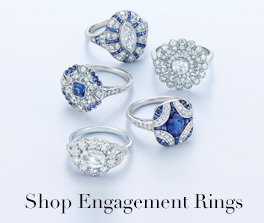 In any style, era, color, gemstone, or setting, these fiery stones dazzle and delight. Cushion cut stones may vary widely in proportion and facets, but the sparkling result is determined more by the stone's quality and the cutter's precision than the cutting pattern. This outstandingly versatile stone is a perfect ornament to any design and style. Antique cushion or Old Mine cuts may be less brilliant than modern versions, but these prized heirlooms carry a historic classic allure. 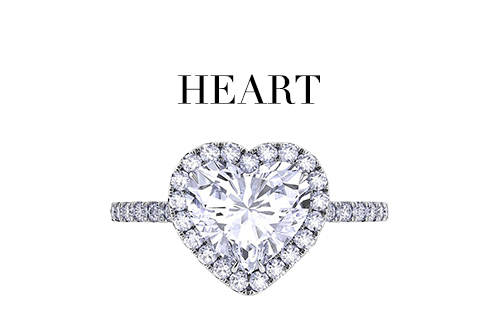 A heart-shaped engagement ring is a powerful display of romance and committment. One of the more popular engagement ring cuts, the heart shape offers two, symmetrical and identical halves divided by a sharp and distinct cleft. The sides - also referred to as the wings - showcase a rounded shape leading down to the point of the diamond. The silhouette of a heart-shaped diamond can be narrow or wide, depending on personal preference, but the ideal ratio of this diamond cut is 1:1. 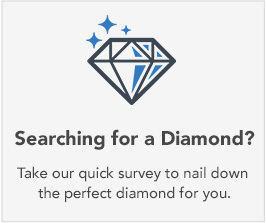 That means that the diamond is as tall as it is wide. The recommended size (carat) of a heart shape should be over 2 carats. This is due to the fact that the heart shape is more difficult to discern in smaller cuts. The heart shape is a perfect choice for the hopeless romantic who loves all things love. Its unmistakable cut offers 60 facets, which gives off as much sparkle as a round diamond. And while this diamond cut seems to be a modern trend, heart-shaped diamonds date back to the 1400s. 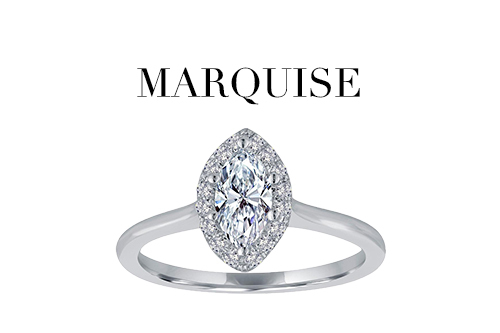 Marquise cut wedding rings are slim, shapely pointed ovals. Said to have been developed as an homage to the perfectly pursed lips of the famous Marquise de Pompadour, this stately elliptical is symmetrical with brilliant facets. Marquise cut wedding rings have an illustrious history in classic and vintage designs, riding the finder longwise in a slender, delicate display. However, designers have taken to this shape far beyond traditional limitations, stretching across the fingers of stars like Catherine Zeta-Jones and Portia de Rossi, and turning at all angles and patterns in eye-catching arrays. The brilliant reflections of marquise cut wedding rings frequently suffer from darkened bow-tie areas where less-than optimum facets displace the light. While not always avoidable, this effect may be minimized with skilled cutting and setting to be barely noticeable. The sharply pointed corners of a marquise cut wedding ring may be vulnerable to chipping if cut too thin or left exposed, so settings that protect the points are recommended. A diamond or gemstone in an oval-shape is the perfect choice for a unique and unforgettable wedding ring. The oval cut wedding ring uses a brilliant cut, similar to the round cut, but more elongated with a greater surface area. It usually has fewer facets than a round cut stone, giving it less sparkle, which is why it is sometimes thought of as a vintage style. Currently oval cut wedding rings are less common than the round-shape, although they have recently gained more popularity among top designers. It is an extremely versatile cut and can take on an antique look or a modern look depending upon its setting and accents. 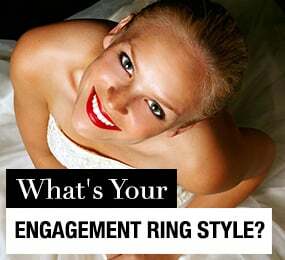 Oval cut wedding rings may be most appealing when set with side stones or in a halo. 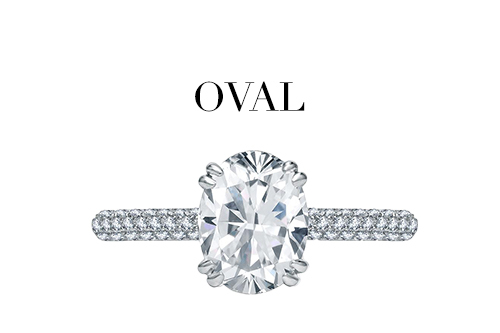 As a unique benefit, the oval-shaped diamond creates the visual effect of lengthened, more slender fingers. 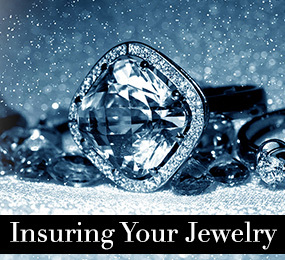 In terms of cost, an oval-shaped gemstone looks larger than a round-shaped gemstone of identical weight. When shopping for an oval cut wedding ring, consider the length to width ratio to determine the best balance and appeal. 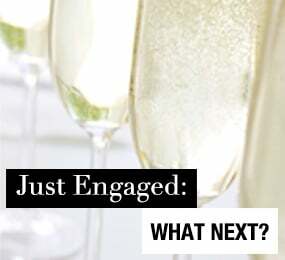 A princess cut diamond wedding ring offers style and brilliance to the modern bride. It is the most popular cut and also happens to be one of the most affordable cuts on a per carat basis. This is because the pyramid shape of the princess cut diamond is similar to the octahedron rough stone from which it is cut. This allows two equally-sized princess cut diamonds to be cut from the same octahedron stone with little waste. Greater efficiency and a higher yield during the cutting process translate to a lower price for consumers. While most intense in diamonds, this cut can be used to bring out the sparkle in any gemstone. The princess cut diamond is traditionally square, but is sometimes more rectangular. With a length to width ratio of 1.05 or less, the stone will appear square to the naked eye. You may find that you prefer the more rectangular look; there is no right or wrong style, it is a matter of personal preference. 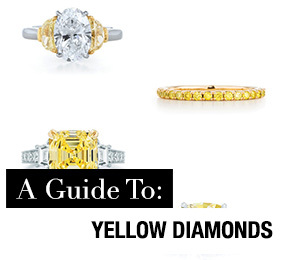 Generally speaking, the more rectangular the stone, the lower the cost of the princess cut diamond. 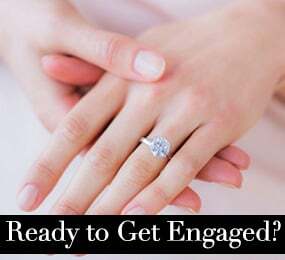 When setting a princess cut gemstone into a wedding ring, it is important to remember that the weakness of the stone is at the corners; the narrowly pointed tips are prone to chipping. 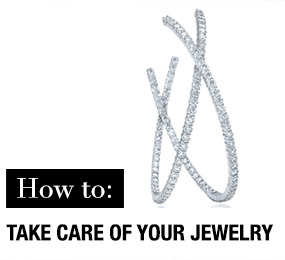 This can be remedied by placing the prongs in the corners to hold and protect the stone. 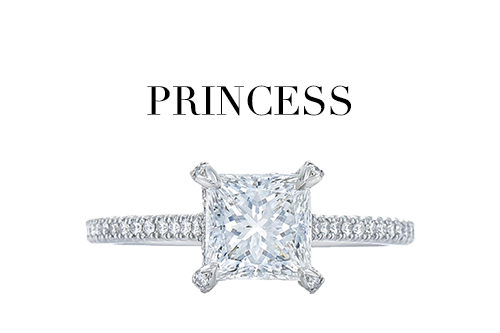 When set with stones on either side, the width of the princess cut diamond will appear greater. A radiant cut gemstone is richly-faceted with a complete brilliant-cut facet pattern applied to the crown as well as the pavilion. 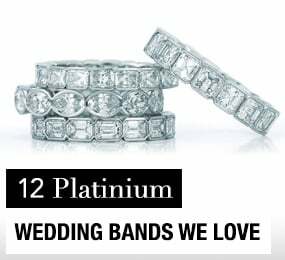 Unlike other rectangular shapes that use step cuts, giving them a glassy look, radiant cut wedding rings display a vibrant, sparkly diamond shape with maximized light reflection. A radiant cut gemstone is faceted with triangular facets that release their natural brilliance. 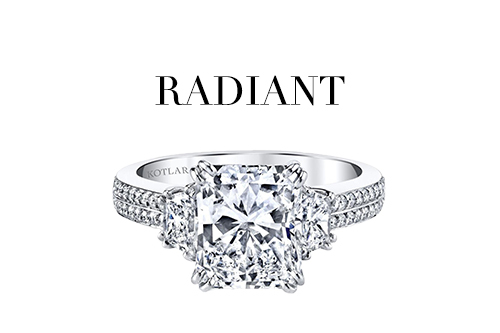 The radiant cut is best described as a square or a rectangle with cropped corners. 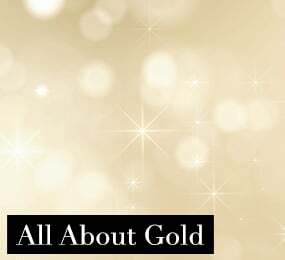 For this reason, it is extremely versatile and well-paired with almost any gemstone, round or square. 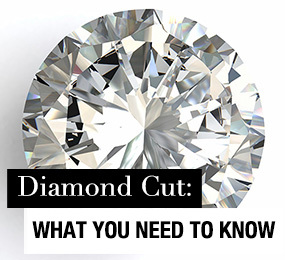 The radiant cut became popular in the 1980s and is still highly sought after to this day. 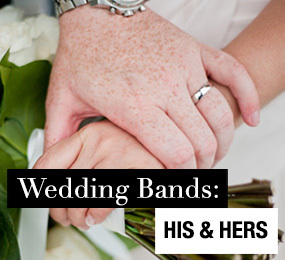 Preferences are as diverse as the brides wearing the rings. Some prefer a perfectly square stone while others prefer a more rectangular look. The radiant cut wedding ring is perfect for the bride who likes the look of an emerald cut, but prefers the fiery brilliance of a round cut. To find the dimensions you prefer, consider the length-to-width ratio for your ideal balance. 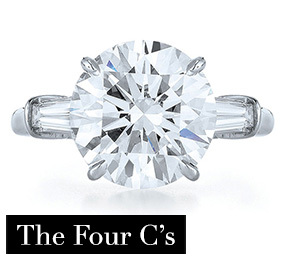 If a square cut is chosen, the radiant cut may look very similar to the princess cut. This is because the prongs on the setting may cover the corners entirely.